At InTown Suites, you can stay as long as you like. Each guest room is set up like a studio apartment with giant 47" HDTVs and an impressive HD Channel lineup! They even have fully-equipped kitchens so you can cook your own meals and save money. 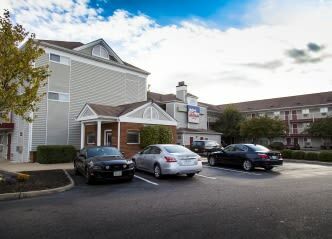 The low weekly rate includes many amenities like high speed internet and weekly housekeeping.